Time to wrap up my year in review. Yes there's still a week and a half left of 2011, but a lot of stuff that's been happening lately has been "behind the scenes". But I'll get to that soon enough come early next year. So hit the jump and find out something I never blogged about this year... and the rest of the stuff that I did. Enjoy! Ok, so first off... I screwed up. I missed reporting about something awesome that happened back in June. I missed it before because I never posted about it here. But now I think I it's okay to mention it. 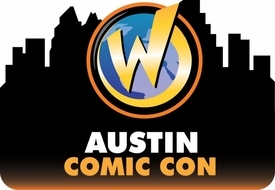 In June I was offered to be a guest at a future Wizard World Comic Con. An offer sent to me by non other than Stephen Shamus, Chief Marketing officer at Wizard! Of the shows on the 2011 schedule I was hoping to make it to the Austin, Texas show in November. Unfortunately I was just unable to make the show. However I'm hoping to fix that for next year! AUGUST - I had a great month contacting some great artists. It was a preview of good things to come! 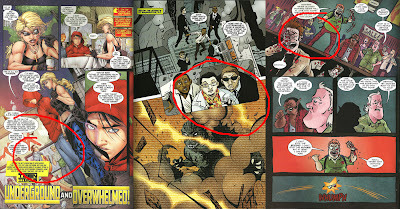 Artists such as Victor Santos, Nick Bradshaw, and Dan Schoening! SEPTEMBER - The Walking Dead Weekly #35 came out, making this a sort of "unofficial" appearance #24.5! But that was quickly followed by something I had been orchestrating for about a year. Appearance #25... True Blood #25 by David Messina! This appearance is special due to the fact I did it originally to sneak my wife into an issue of True Blood. Thankfully David was happy to do so, and I managed to pop up as well! 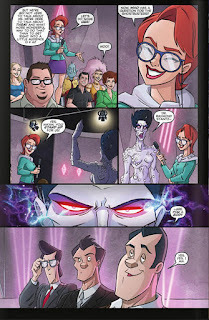 Also in September saw appearance #26, Ghostbusters #1 by Dan Schoening! This book has been truly awesome. A must read for any Ghostbuster fan. It's awesome to be part of this! 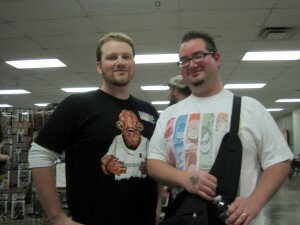 Went to my second convention of the year, the Free State Comicon! I had a great time and spoke with lots of great comic creators there. Please click here to check out my review of the con. 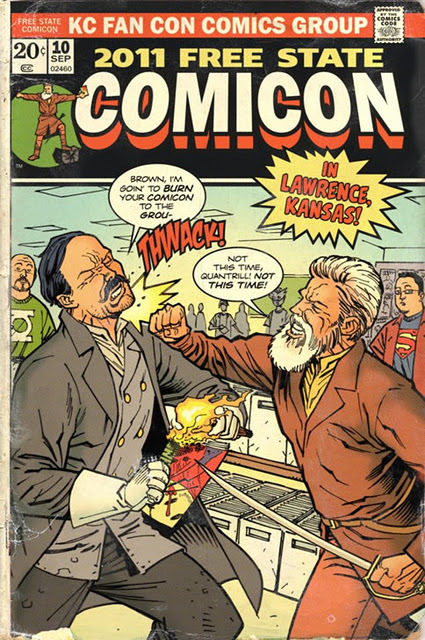 I'd like to mention quickly that this will always be a con to remember due to a special DMI appearance on the show's promotional artwork that was drawn by artist Greg Smallwood! 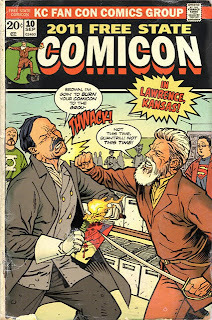 Local comic book writer CW Cooke (whom I meet at the Free State Comicon) did a nice write up on my campaign here at Kansas City Comics, a website the showcases the Kansas City comic book scene. OCTOBER - What a great month! Appearance #29 Screamland #5 by Lee Leslie. Holy crap, right?! Yeah, that was a nice day. Nuff said. November - I picked up a few new pieces of original artwork. I don't have a lot of my appearance pages but when I can afford it, I like to add to the collection. These Screamland and Godzilla pages will look nice framed on my wall! December - So I guess this leads up to now. Well, I've been building things up in anticipation for next year! So far I've got future appearances from Richard Jordan, Ryan Kelly, and Simone Guglielmini! And a future article in a well known national magazine.... but more on that later. Thanks for reading and visiting my journey on my quest. 2011 was good to me, along with being Draw Me In's fifth anniversary. Happy Holidays everyone and Happy New Year!